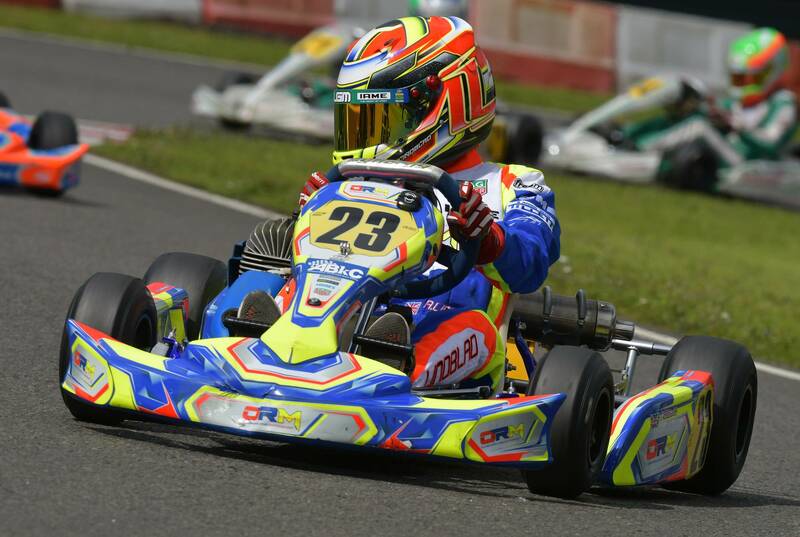 Oliver Rowland set up a Kart Racing Team for the 2017 Season - Oliver Rowland Motorsport, with the intention of passing on his wealth of experience to the next generation - getting MDM Designs to create his new Kart Graphics. 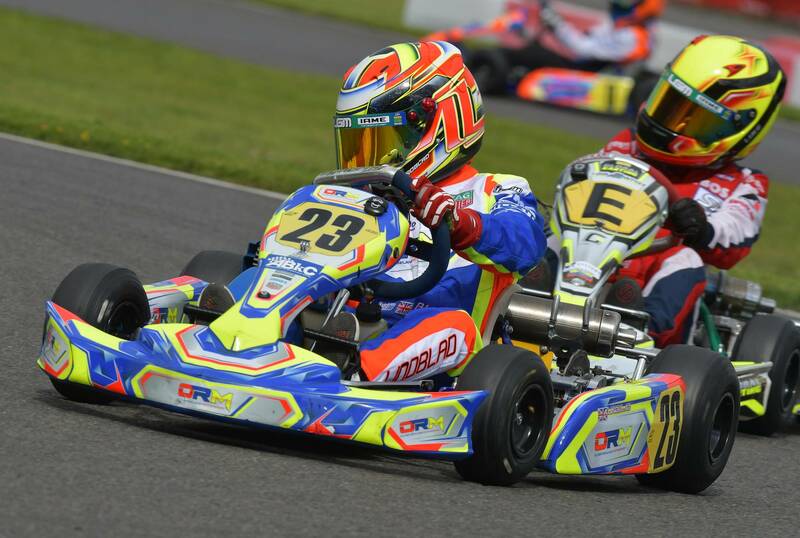 Rowland approached MDM Designs for the design of his new Kart Graphics and Freem Kart Racing Suits for his driver Arvid Lindblad, as Oliver Rowland Motorsport made it's debut in the British Karting Scene. The first project was to create the logo for ORM. A design brief was supplied in using three colours, and the initials ORM for the team name. The final design featured blue, red and yellow - with the team name under the lettering, alongside two accents to keep the design in-line with the current kart racing trend of designs. 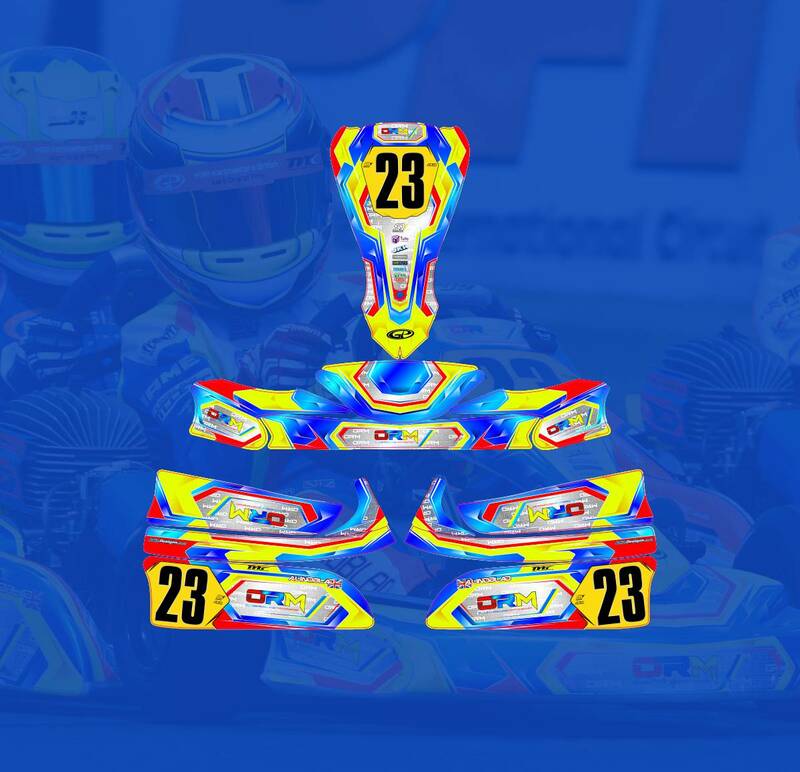 ORM uses Synergy Kart Chassis for the IAME Cadet British Super One Championship, the design brief was to create kart stickers based on the colours from Rowland's helmet design. Meaning the graphics would be a mixture of blue, fluorescent yellow and fluorescent red to create a new identity for his new team. The design was created on the MK14 Cadet Bodywork, using blue as the main colour and having the two flourescent colours for highlighting purposes. The end result saw some airbrushed details added through the blue to add depth into the design - as well as a silver faded background to finish off the design. Kart accessories for the Tank, Chainguard, IAME Airbox, Laptimer, Floortray and Trolley Stickers were then created to complete the kart look for the track. A Freem Kart Suit design was then designed by us to match the kart - including the logos of the suppliers to the team positioned on the arms, alongside the mandatory Super One British Championship logos on the chest. 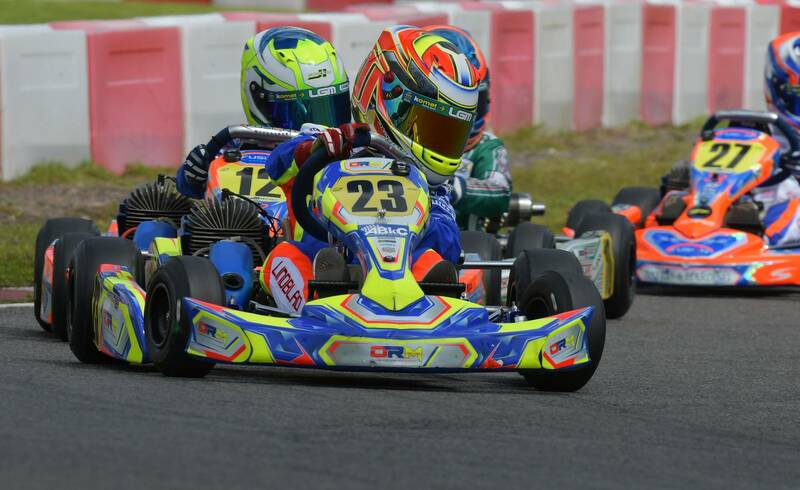 Lindblad has starred in the new team and graphics, taking consistent podium finishes at National and British Championship level - currently 3rd overall in the British Cadet Karting Championship. 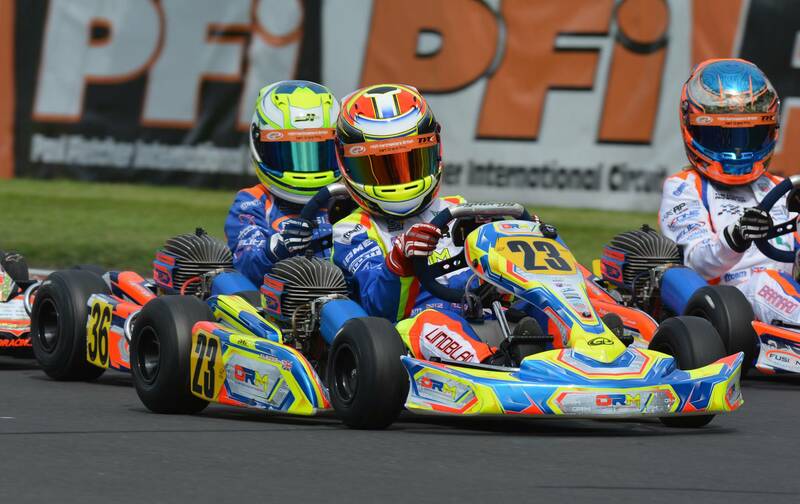 ORM ran with a modified special design for the Kartmasters Grand Prix. This saw us utilise blue chrome swapped in for the usual blue background, a chrome background featuring wallpaper styled ORM logos in white, and lastly with red shading on the fluorescent yellow - to bring a subtle yet stylish modification to an already bright and stand out design.